Superpower Dogs is an IMAX Experience film that is opening in IMAX theatres on March 15. In this movie, IMAX shows moviegoers the life and experiences of five extraordinary dogs helping humans and saving lives. 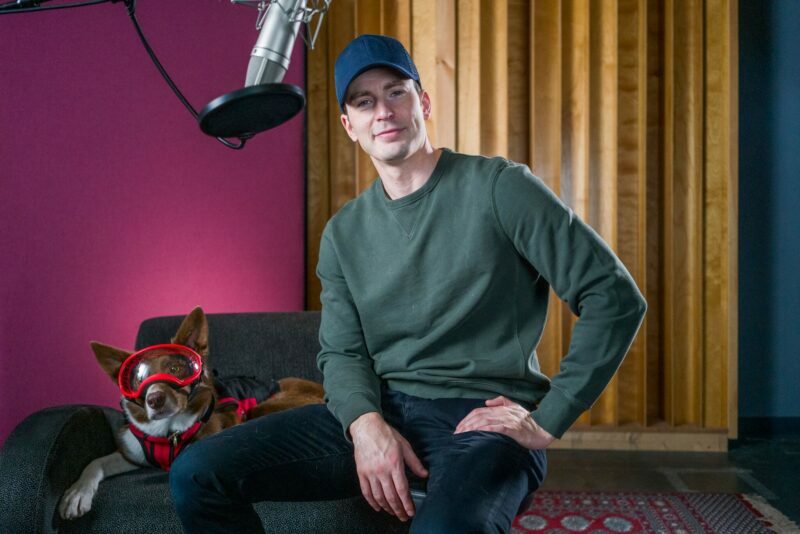 Of course, when there is a movie showcasing how ‘super’ our four legged friends are, it only makes sense to have Chris Evans- dog lover and Captain America- narrating. The movie showcases several incredible dogs including Holly and handler Cat who work search and rescue in Florida. Then there is Reef and handler Ferruccio who work water rescue in Italy. Henry and their human partner Ian who work avalanche rescue on Whistler Mountain in Blackcomb, British Columbia Canada. Ricochet is an Emotional Support dog in San Diego, California and their human Judy. And, finally Tony and Tipper who work in endangered species protection with the Kenya Wildlife Service. There is also a series of books created based on this movie; Superpower Dogs, Superpower Dogs: Halo and Superpower Dogs: Henry. The books are full of color pictures and their stories, and also have behind the scenes pictures from the making of the movie. Also, on the Superpower Dogs website is a place for people to share stories and pictures of their own dogs. This is a great way to celebrate all that our four-legged friends bring to our lives and the lives around them.